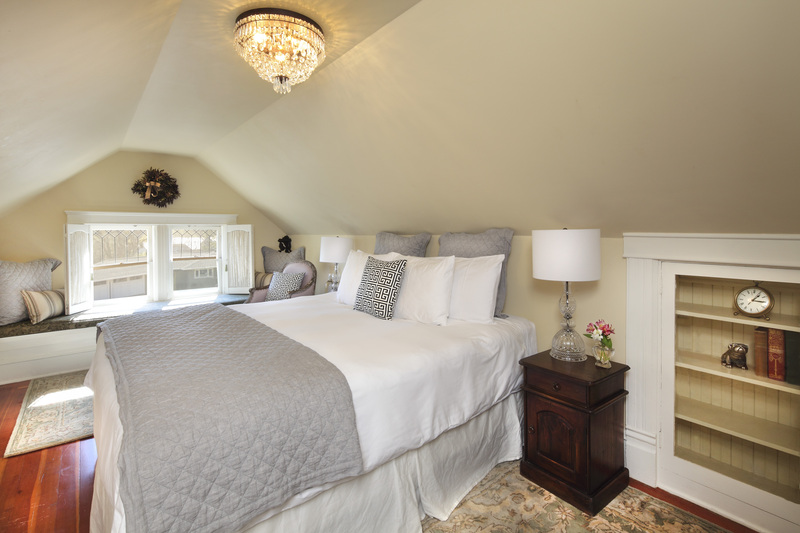 This sunlit, gabled room is situated on the 2nd floor and overlooks the lush front gardens. In the evening, the fountain and heritage trees are illuminated and create a magical setting. 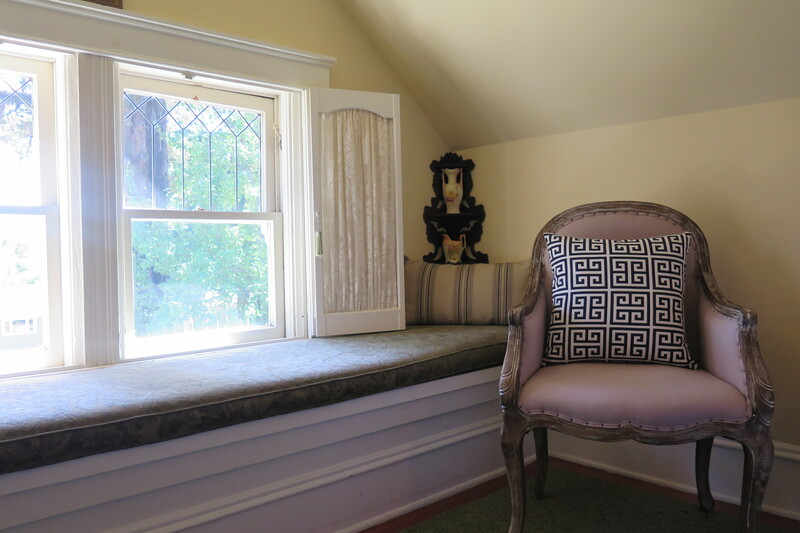 Stretch out in the sun on the long window seat or relax in one of the two overstuffed chairs. The antique armoire holds your clothes and supports the television with DVD player. 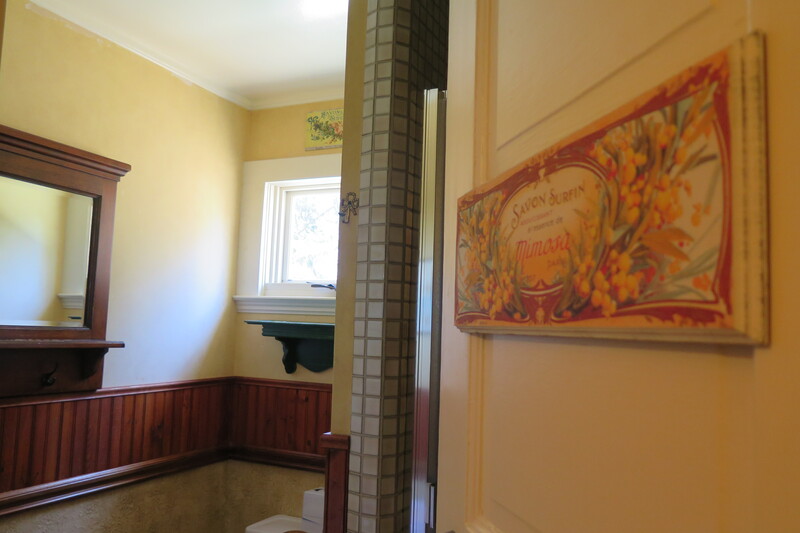 Built-in cabinets provide additional storage space for longer stays. 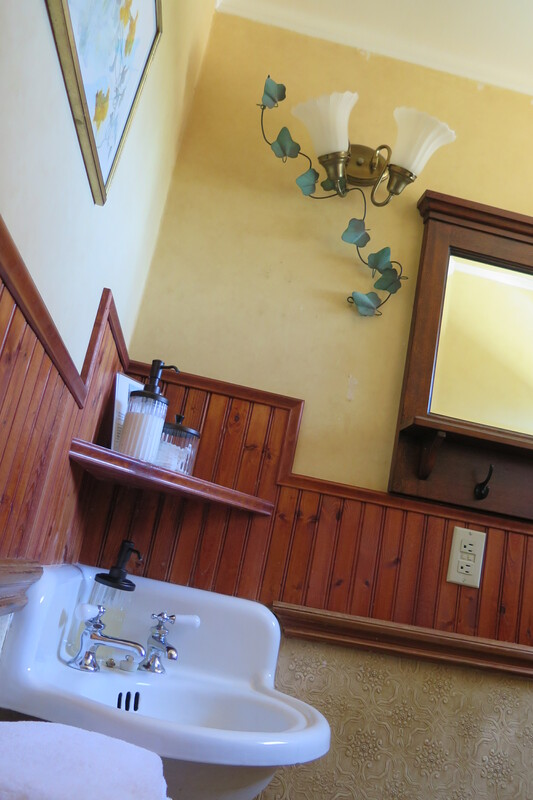 The cheerful bath has a tiled shower, corner sink and antique table for storing toiletries and personal items.